Hal’s back on the beat. 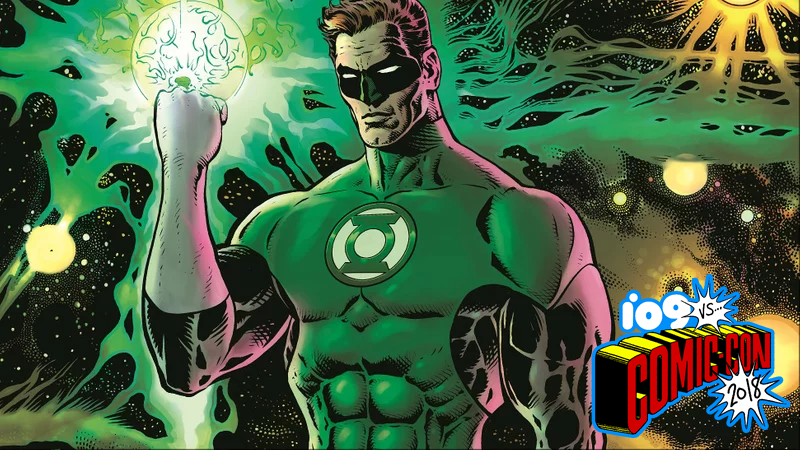 The Green Lantern comics have gotten rather epic in scale recently, with Earth’s Lanterns and the corps at large dealing with cataclysmic threats to the DC cosmos on a regular basis. But the new relaunch of the series is bringing the scope down back to regular old space-cop business, and Hal Jordan is once again the focus. First revealed by IGN today and confirmed at San Diego Comic-Con, Green Lantern will relaunch this November as The Green Lantern, under the auspices of new creative team Grant Morrison and Liam Sharp. Hal Jordan, who’s played a more standoffish role in the comics lately while the focus remained on Earth’s current Lanterns Jessica Cruz and Simon Baz, will return as the primary focus of the series. The full cover art for The Green Lantern #1. The new book will open with Hal returning to Earth, finding a dying member of the Corps who has crash-landed on the planet, with three deadly prisoners in tow that Hal has to hunt down before they can wreak havoc. He basically pitched it as ‘cops in outer space,’ that he wanted to go back to those roots and kind of really touch upon this notion of justice. We just presume that they’re using the American system of justice out in outer space to provide peace and order to all the [sectors of space].… It’s something that people really haven’t explored before. It goes to this notion that you have a human Green Lantern, but all these other aliens have different cultures, have different views of what justice looks like, and I think that’s something that hasn’t been really explored. The Green Lantern launches this November.